Who says you have to use pastel colours to get a fresh spring look? Black, white and grey are in this season. 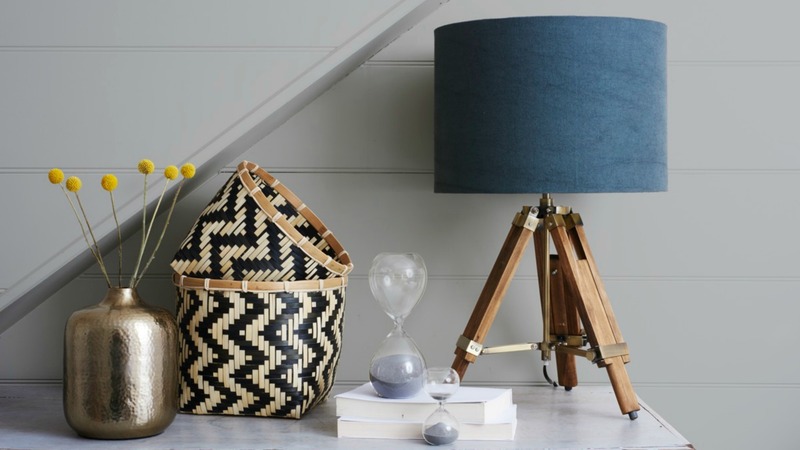 Incorporate them into your home for a sophisticated, modern look. Monochrome is perfect for making a style statement in any room of your home. Create a gallery of black and white pictures on your wall, framed in sleek black. Or paint an old desk or cabinet black for an instant contemporary revamp. Monochrome doesn’t have to be geometric or bold and in your face. This dining room setting shows how black, white and grey can be used to achieve a muted, calming effect. The key is to avoid large blocks of any one colour and keep patterns fluid. Plenty of soft shades of grey will soften the effect of the black/white contrast. Add a lick of white paint and a few grey and black accessories and you can achieve the monochrome look without too much time, fuss or money. If you’re worried that a monochrome design might be too cold for your taste or might seem too modern, you can tone it down by bringing in another colour. Blue is the perfect backdrop for the bold and graphic nature of black and white. 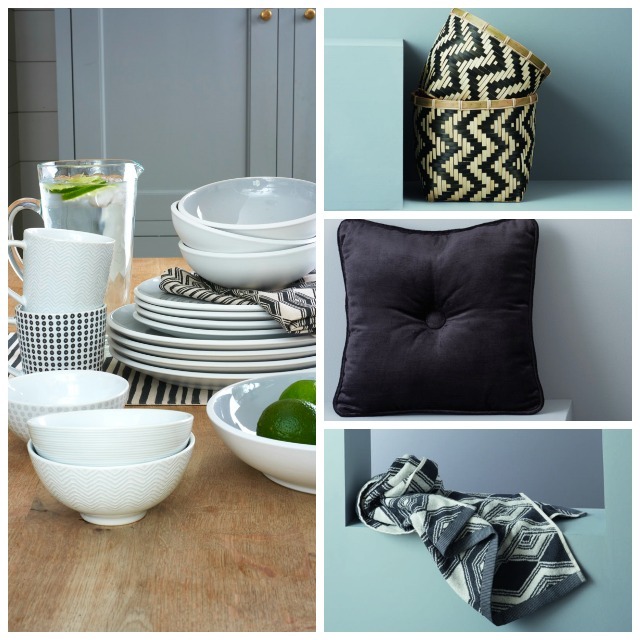 Image: Sainsbury’s, nibble bowl, £3; mug, £4; serving platter, £10; black woven and terry tea towels ,£8; monochrome woven baskets, £10; minimalist black velvet cushion, £6; graphic monochrome bath towels, from £6. We’ve said spring decor doesn’t have to mean pastels but pastel shades actually work really well alongside monochrome and it softens the overall effect. Pale peach, soft olive green and lemon yellow can be fresh and inviting mixed in with black, white and grey. It’s also a really versatile decor trick, as you can change your accessories with each new season, depending which colours you want to dominate, or to switch up the style. For example, you could replace this green velvet footstool with a sleek black coffee table and switch the cushions and lampshades for dark grey or black alternatives to create a more contemporary look. If you’re ready to fully embrace monochrome style, why not go all out and pick a patterned wallpaper? It will instantly transform your home. As a general rule, keep kitchen walls more white than black for a light, airy feel. Other rooms, such as your bedroom or living room, can be transformed into elegant spaces with darker wall coverings. Textured monochrome wallpaper adds a further touch of luxury. What are the trendy colours for spring/summer home decor?